Bills -- Keep bills (including warranties) for big ticket purchases like appliances, cars, electronics, jewelry, etc. indefinitely, to show proof of value. Non-big ticket item bills can be shredded after one year. House/Condo Records -- Keep all documents related to home's purchases, as well as permanent improvements and remolding you've made. These records can be used to document capital gains when you sell your home. After selling, you need to keep records including expenses incurred from selling and buying for 6 years after the sale. Tax Returns -- Keep your complete returns for seven years, as you can be audited up to 3 years after filing. Pay Stubs -- Keep for one year, then shred once you received your annual W-2 and verify the information is correct. Cancelled Checks -- Permanently file anything related to taxes, business expenses, home improvements and mortgage payments. Otherwise, shred all other cancelled checks after 1 year. Credit Card Receipts -- Keep bills for big ticket purchases, as you want to be able to check receipts against your monthly bank statements for accuracy. Once verified, you can shred receipts. Now that you know what you can keep and what can go, how about also thinking about picking up a safe if you don't already own one. The last thing you want to worry about is losing important documents like birth and marriage certificates, car titles, house and mortgage paperwork, social security cards, etc. if ever a fire should happen in your home. In addition to fire loss, a home safe can help protect your important documents against floods, theft, mold and/mildew, forgetful loss, and even insect or rodent damage. When I got married, I was surprised to find a home safe as a gift one of my relatives gave me. 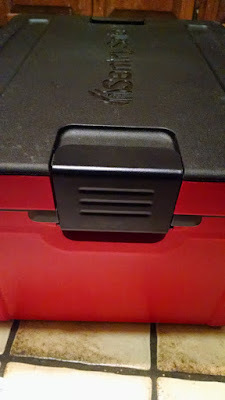 But, after filling it with important documents and experiences water damage in our condo, I found out firsthand the important and need to have a home safe to keep documents safe. 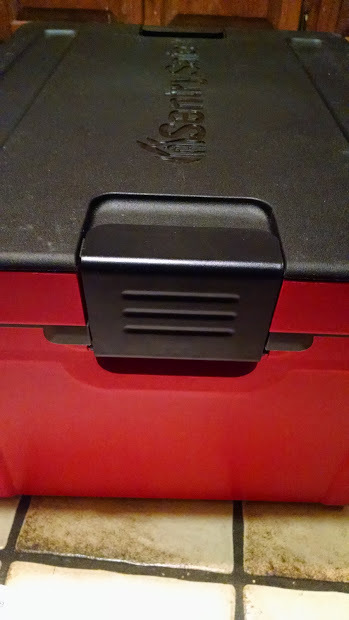 As my family continues to go, as does the paperwork I need to file away in a safe. Now, I have the girls' birth certificates, our wills, my medical documents and scans, etc. 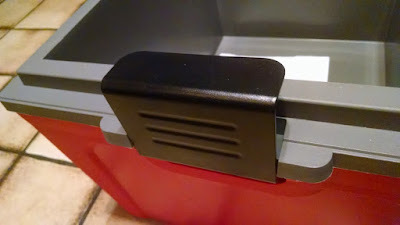 So, as you can imagine my home safe is starting to fill out. 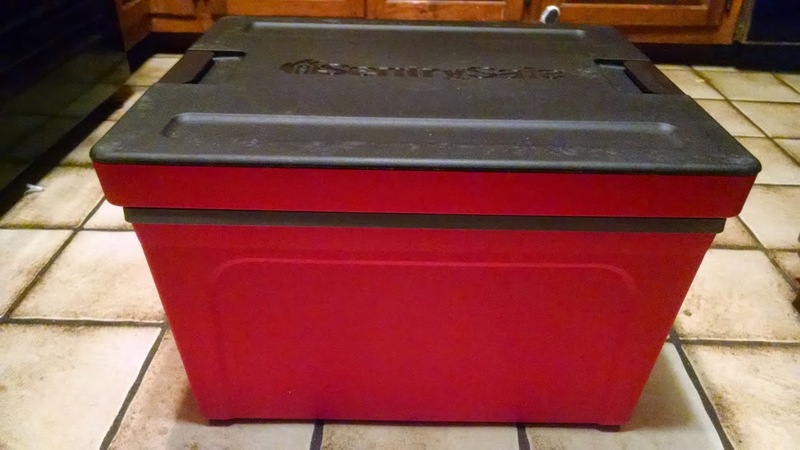 I found my husband and I outgrowing our first safe we were given when we got married over 10 years ago. But, thanks to a sample sent recently from Sentry Safe, I don't have to worry about running out of space as their Sentry Safe Guardian Storage Box is spacious and perfect for both apartment/condo and home spaces. 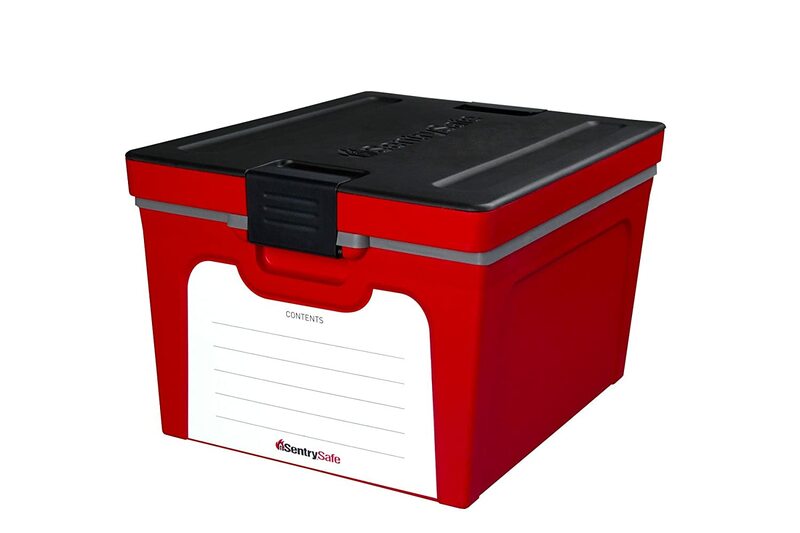 "The Guardian Storage Box is the only long term storage container that is proven to protect your items from fire, water and other environmental damage. 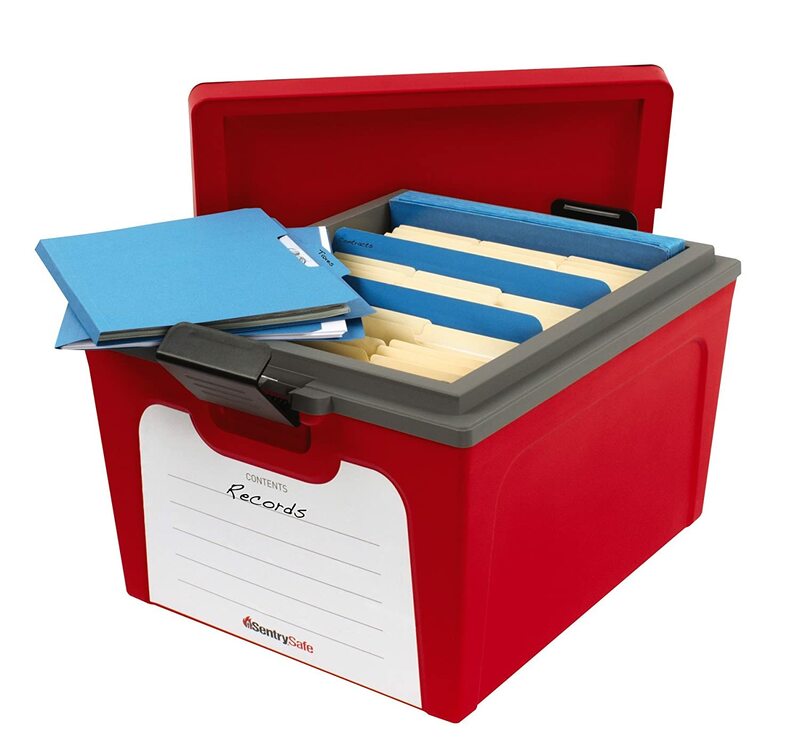 Designed to protect your important business documents, it can hold both letter and legal size papers. Two latches secure the lid in place to keep out debris. 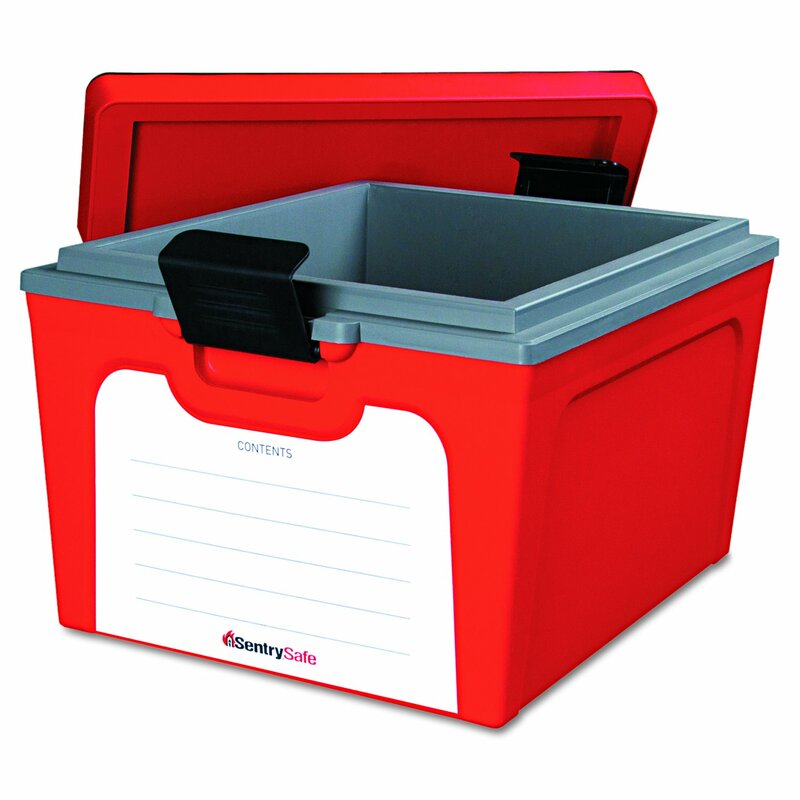 Units are also stackable to provide a convenient storage solution even when spaces is limited." Price: $99.99 -- Available through online retailers like Amazon, as well as in store at Walmart. 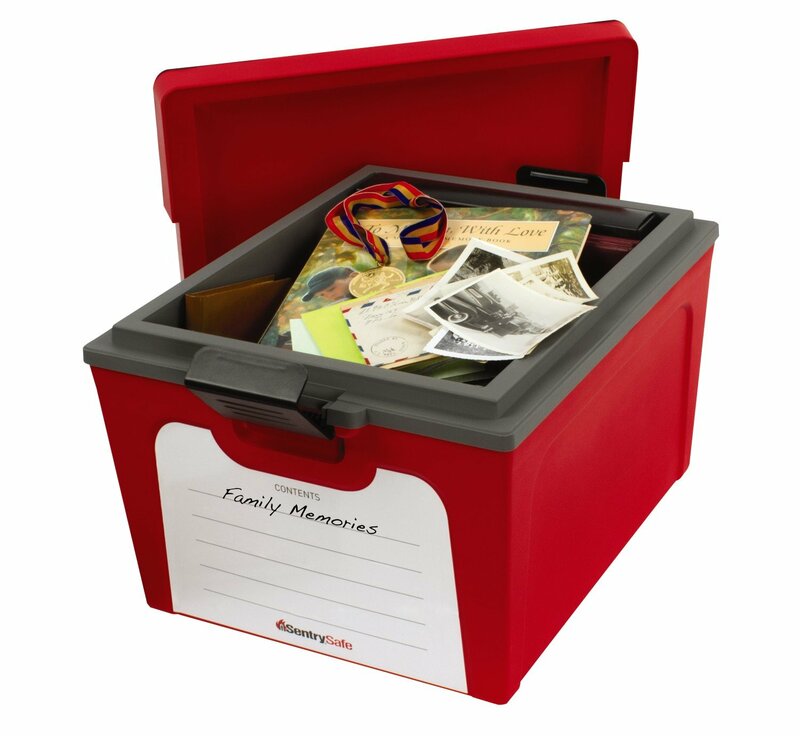 9) Valuables including coins, jewelry, cash, etc. To learn more about the Sentry Safe Guardian Storage Box I mentioned above and was sent to review, as well as other Sentry safes available, depending on your family's need, visit http://www.sentrysafe.com/. 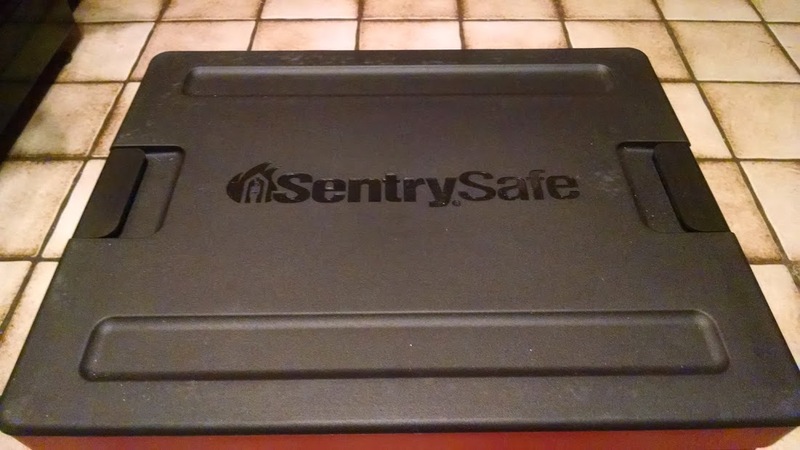 I am so happy to have received the Sentry Safe Guardian Storage Box and can't stop talking about it with family and friends, while sharing the need for a safe, if they don't already have one. 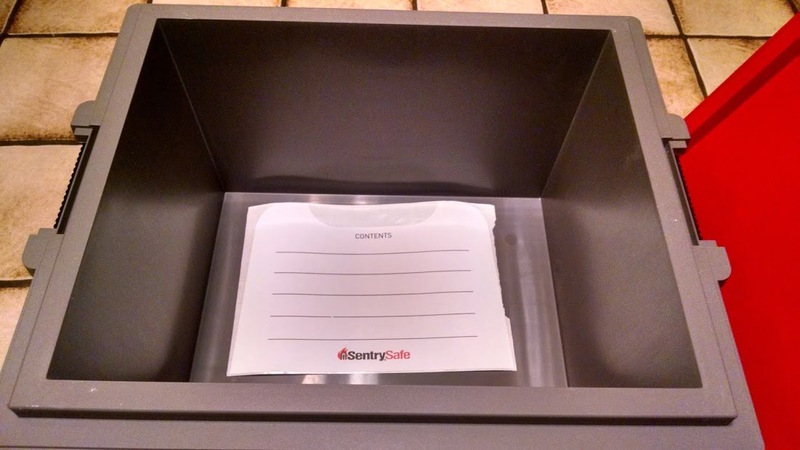 It is always better to be safe than sorry and a Sentry safe will help keep your valuables and important documents safe in case of fire, theft, etc.